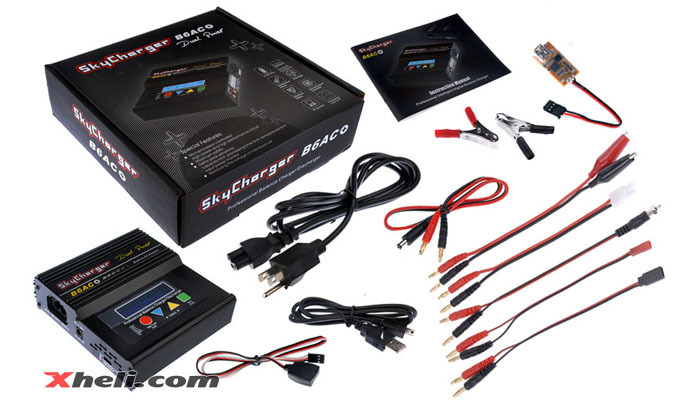 With an extremely low price, this is also one of the highest quality r/c battery charger you will ever find on the internet which also has USB PC monitor software to perfectly charge all your batteries. 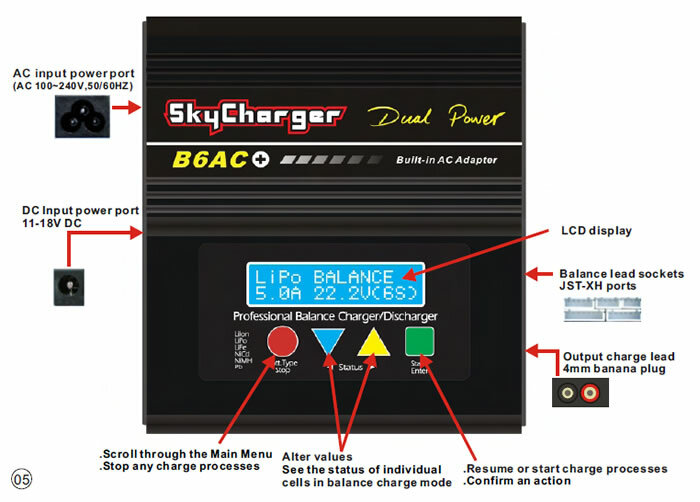 Dual power and multi-functional, the Sky Charger B6AC+ can charge 1-6 LiPo, A123 Li-Fe, NiMH and NiCD, Li-ion and PB batteries! 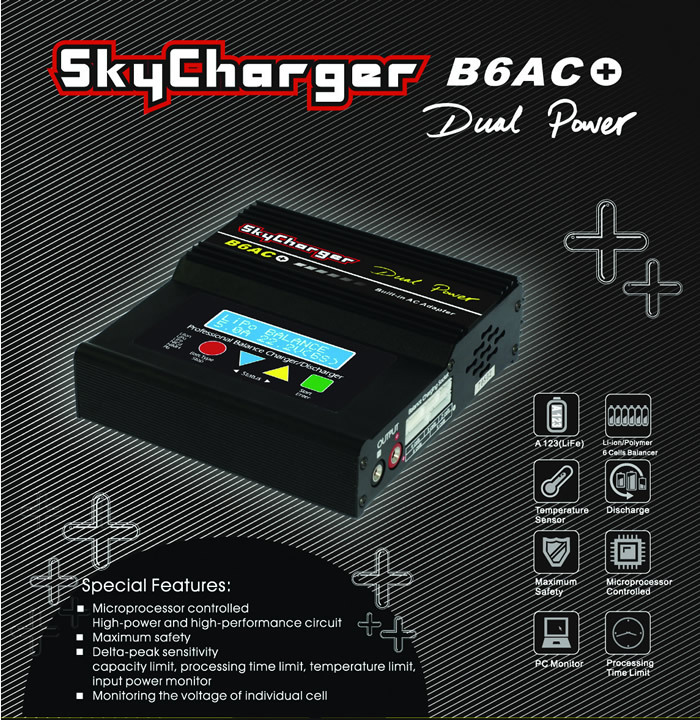 The Sky Charger B6AC+ also features microprocessor controlled, high-power and high-performance circuit, maximum safety with delta-peak sensitivity, capacity limit, processing time limit, input power monitor, temperature limit and also monitoring the voltage of individual cell. Best of all, this charger also comes with everything such as power cord, charging clips/adaptors and everything you need to get started! Great for RC beginners!!! 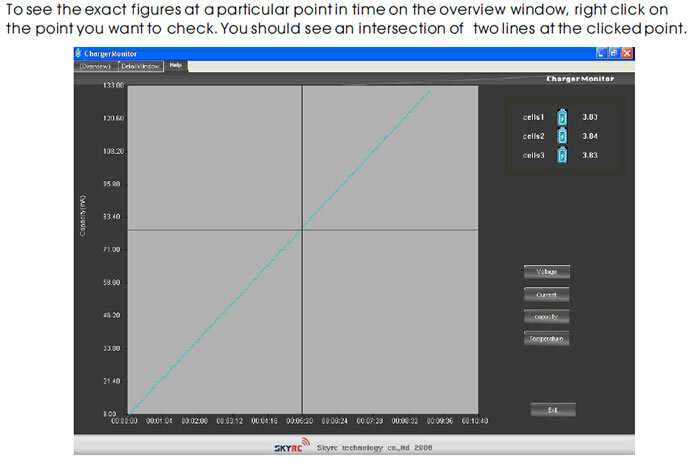 Optimized operating software B6AC+ features the so-called AUTO function that set the feeding current during the process of charging or discharging. Especially for Lithium batteries, it can prevent the overcharging which may lead to an explosion due to the user's fault. It can disconnect the circuit automatically and alarm once detecting any malfunction. 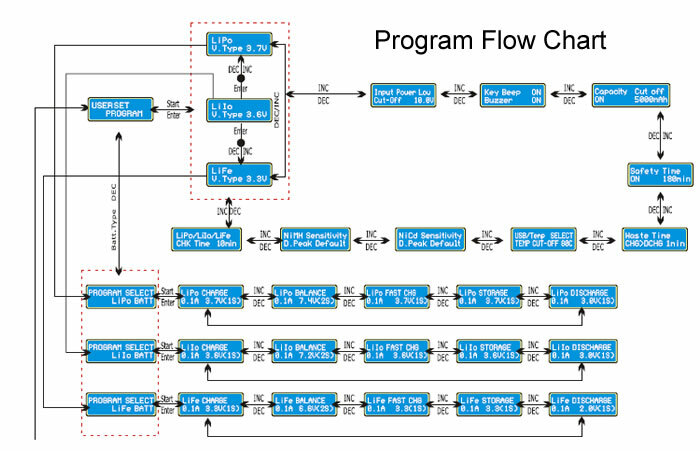 All the programs of this product were controlled through two way linkage and communication, to achieve the maximum safety and minimize the trouble. All the settings can be configured by users! 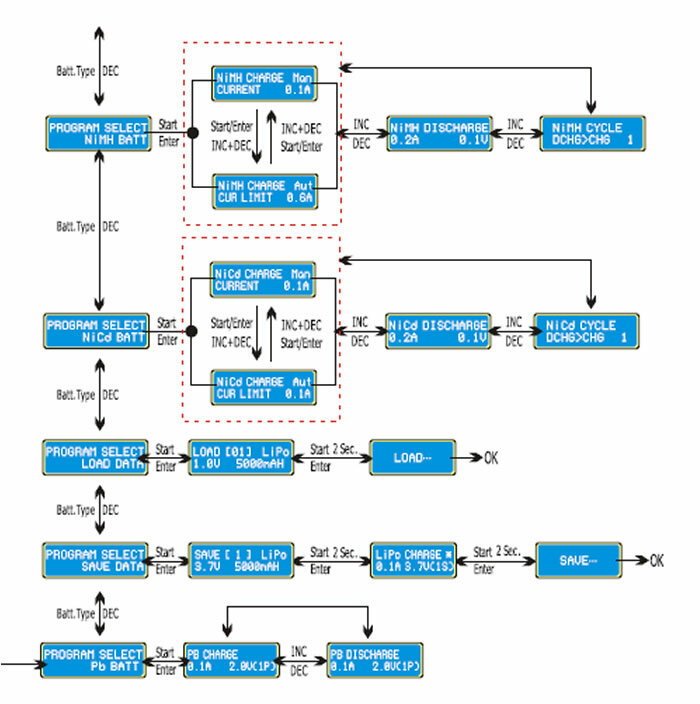 B6AC+ employs an individual-cell-voltage balancer. 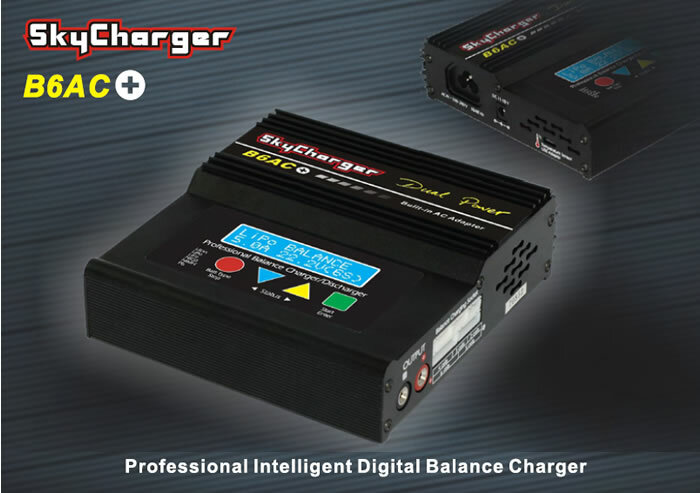 It isn t necessary to connect an external balancer for balance charging. 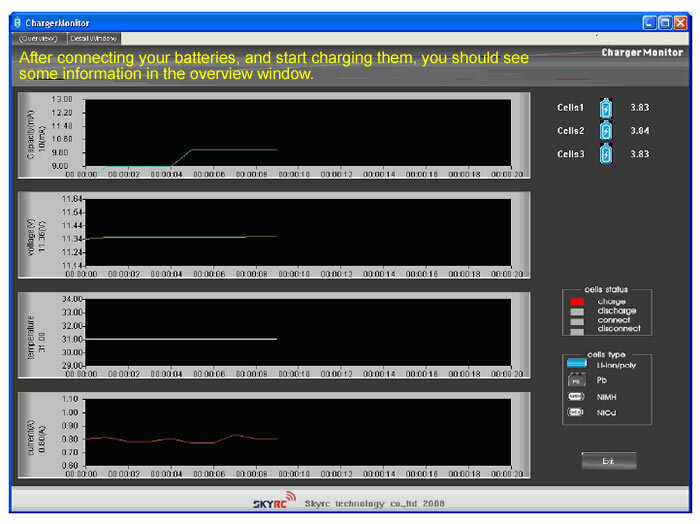 During the process of discharging, B6AC+ can monitor and balance each cell of the battery individually. 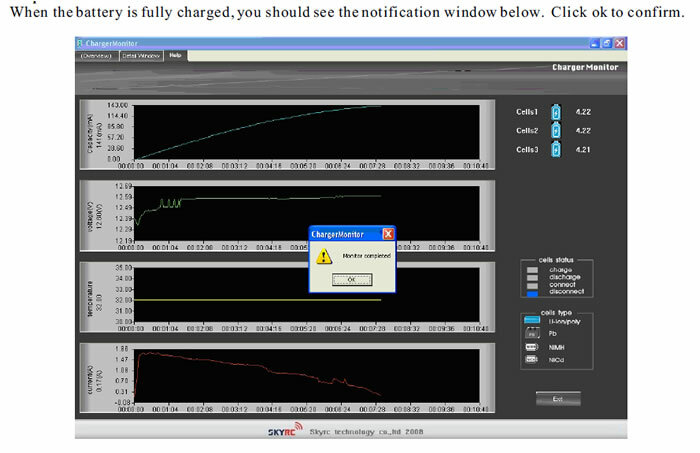 Error message will be indicated and the process will be ended automatically if the voltage of any single one cell is abnormal. 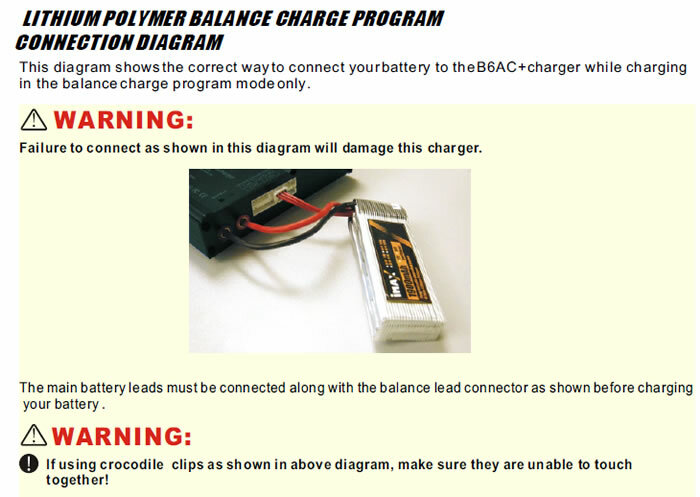 B6AC+ is adaptable to various types of Lithium batteries, such as Li-ion, LiPo and the new LiFe series of batteries. 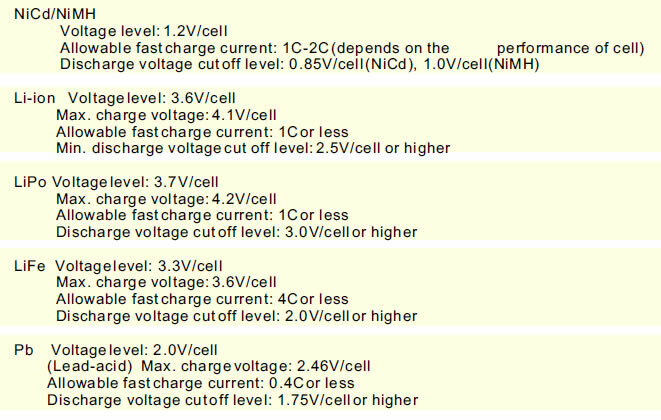 Purposes to charge Lithium battery varies, �fast� charge reduce the duration of charging whereas �store� state can control the final voltage of your battery, so as to store for a long time and protect useful time of the battery. The battery�s internal chemical reaction will cause the temperature of the battery to rise. If the temperature limit is reached, the process will be terminated. The maximum five batteries�data can be stored for users�convenience. 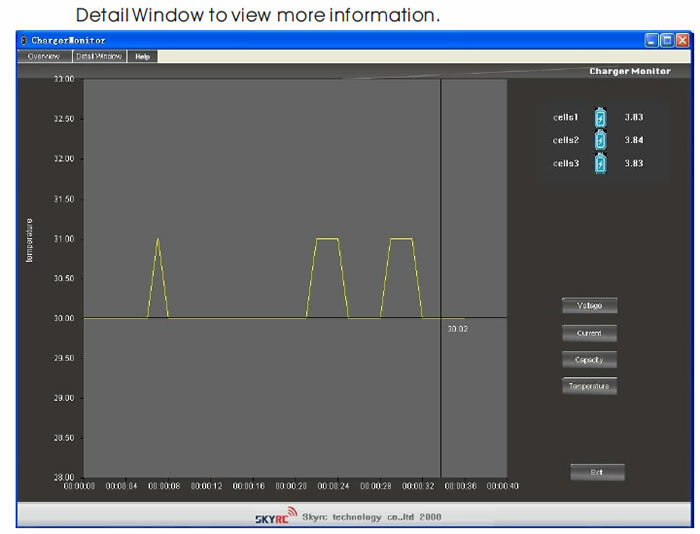 You can keep the data pertaining to program setting of the battery of continuous charging or discharging. Users can call out these data at any time without any special program setting. 1 to 5 cyclic and continuous process of charge>discharge or discharge>charge is operable for battery refreshing and Balancing to stimulate the battery�s activity.